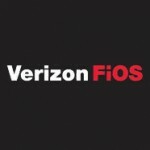 Verizon and the Disney and ESPN Media Networks Group have extended current agreements and have struck a bigger deal that will add new services for FiOS TV customers. New services launching soon under the deal include ESPN Goal Line, ESPN 3D, Disney Junior, mobile programming and live online streaming of several ESPN networks. ESPN Goal Line, a super-highlight channel available to FiOS TV customers as of Oct. 9. ESPN Goal Line takes fans around to some of the best matchups during the NCAA football season. The network includes live look-ins of game action, focusing on scoring drives and up-to-the minute commentary from analysts and experts. Goal Line, available at no additional cost for customers who subscribe to FiOS TV’s Extreme HD or Ultimate HD package, airs on Saturdays in HD on FiOS TV Channel 571 from noon until games are complete, around 11:30 p.m. ET. A similar service, called ESPN Buzzer Beater, will be available for the college basketball season. Goal Line will be available in all FiOS TV markets except for the Washington, D.C., metro area and Harrisburg, Pa., due to local affiliate exclusivity agreements. ESPN 3D, scheduled to launch for Verizon FiOS TV subscribers in 2011. New authenticated services, which will give Verizon’s FiOS TV customers the opportunity to watch ESPN, ESPN2, ESPNU, ESPN Goal Line and ESPN Buzzer Beater live online on their PC or on Internet devices like tablets. FiOS TV customers will be able to access the programming via ESPN’s websites as well as the FiOS TV Online website in the coming months. Disney Junior, the recently announced, 24-hour basic channel for preschool-age children, parents and caregivers. 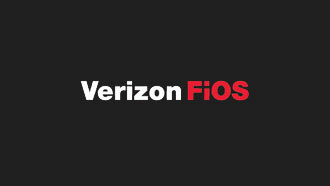 The new channel, available to Verizon FiOS TV customers upon its debut in 2012, will feature animated and live action programming that blends Disney’s unparalleled storytelling and beloved characters with learning, including early math, language skills, healthy eating, and lifestyles and social skills. Signature programming, from Disney XD and ABC Family is expected to be available on Verizon Wireless’ V CAST Video later this year.